If you’ve been wondering about the year’s top promotional products trends, allow us to fill you in. The ePromos team has just returned from the promo industry’s leading tradeshows: The PPAI Expo and the ASI Show. It’s at these shows where new products are revealed and trends are uncovered. We’ve given you a first look at some of the year’s hottest new promotional products, and now we want to share some of the overarching trends in custom logo merchandise. Read on to see some of the standout trends that will shape promotional marketing in 2015. The biggest trend at both shows? Promotional products with a retail look and feel. Everybody had that retail appeal – from the products themselves to the packaging. 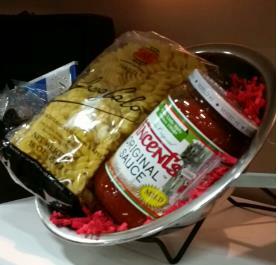 It’s clear that in 2015, promotional products will look like they’ve just been plucked from a store shelf. We saw popular retail brands everywhere, and when we didn’t see the real deal, we saw retail lookalikes. If marketers don’t want to spring for the brand name (or if it’s not in their budget), they can easily give items with that familiar brand-name look, but for a fraction of the cost. 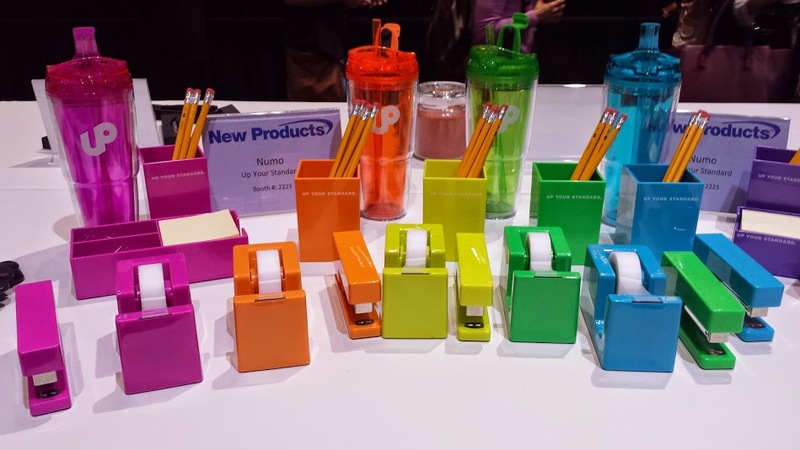 A great example is the line of bright and modern office supplies designed after the super-hot brand, Poppin. You get that same look and feel, but for much less. Retail-type packaging will also dominate this year. Don’t even think about generic, standard-issue packaging. 2015 is all about doing something unique and custom. Overall, if you want to latch on to the biggest promotional marketing trend of the year, think retail. Say cheese: 2014 was the year of the selfie, and the trend will no doubt continue in 2015. What does one need to take the perfect selfie? Naturally, a selfie stick. We saw different versions of the selfie stick all over the shows – in new product pavilions and on the streets of Las Vegas in the hands of consumers. We even received a couple of selfie sticks as gifts during a supplier luncheon. Selfie sticks are having a major moment in pop culture. “Selfie” was named Oxford Dictionary’s word of the year in 2013, and the term “selfie” was mentioned more than 92 million times on Twitter last year – a 500% increase from 2013, according to Twitter. Add your logo, and the selfie stick is a phenomenal promotional item for corporate events, holiday parties, company picnics, parties, weddings, and the like. Here’s where to get your hands on custom selfie sticks. Another pervasive trend at the shows? Items designed for people’s health and wellbeing. 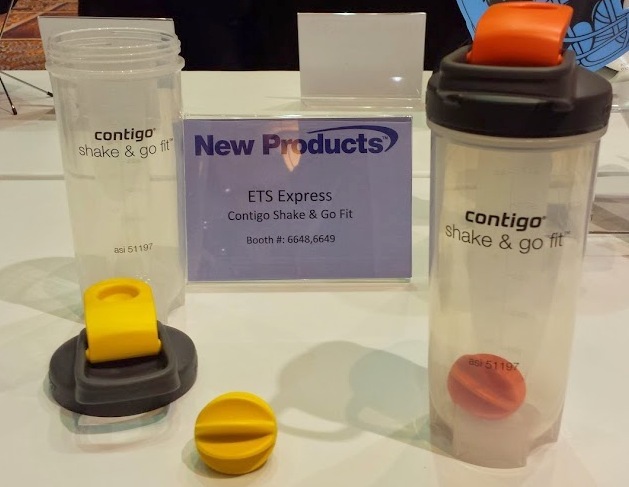 We’re talking everything from essential oils to shaker bottles, fruit infusers, smoothie bottles, and stackable protein powder/snack holders. This is the year to promote health and wellness, and marketers have an abundance of creative ways to do it. Click here to shop for custom drinkware to kick off your next health promo. Promotional bags get some punchy accents for 2015. We came across dozens of bags – from totes to backpacks – that featured gussied-up gussets. We saw stripes, chevron, and lots of bold, eye-catching designs. While the front and back of a bag typically get all the glory (that’s the best placement for a logo and message), 2015 is all about making a statement on the side with cool pattern accents. Here’s where to get promotional bags customized for your campaigns. 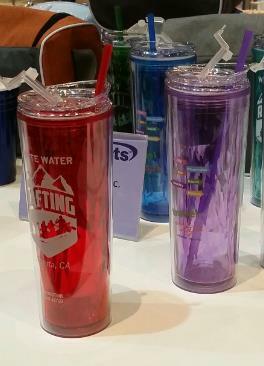 If you want to take your promotional drinkware to the next level, check out diamond-cut drinkware. 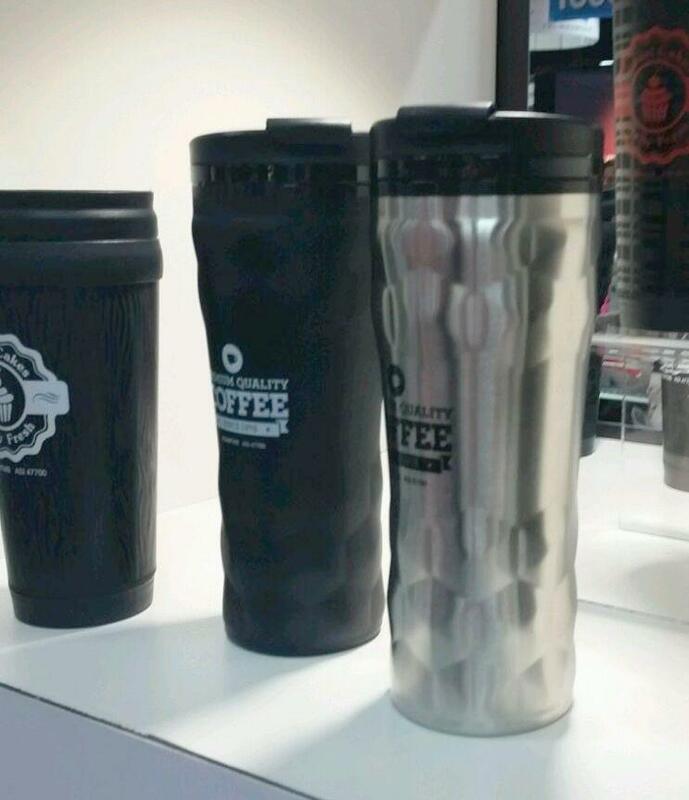 This is the standout promotional drinkware trend for 2015, surging ahead of past favorites like Southern-style and skinny drinkware. This trend lends a high-end feel to drinkware, so opt for it if you want to give your customers something special and new. This is the year to focus on the feet. Dye-sub socks are the in new thing for 2015. 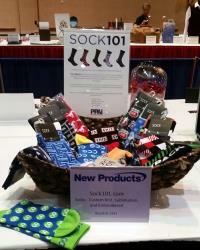 We saw at least five dye-sublimated sock vendors at the shows – three of them featured in the new product pavilion. So, why dye-sub? What’s so great about this decoration process? Put simply: The detail. 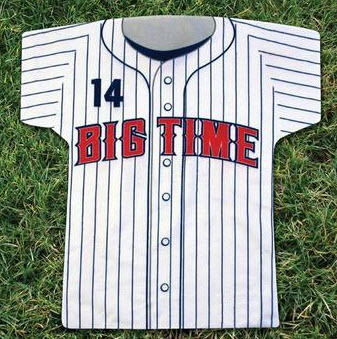 You get incredibly fine-tuned, intricate detail with a dye-sublimation process than with embroidery or woven-in. Here’s a quick primer on how dye-sublimation works. Through this process, an image (such as your logo) is applied using sublimation ink, heat, and pressure. The ink converts from a solid to a gas without becoming a liquid, much like dry ice. The result is a crisp, incredibly sharp image. If you have a very detailed logo, dye-sub is a great process. Opt for dye-sub custom socks, and you have a perfectly on-trend promo. Another big trend for 2015 is giving multiple promos in one. Giving a custom kit or set is a great way to kick a promo up a notch. Why? Because you’re giving recipients more than they expected. Going this route also gives your promo a retail look and feel that we mentioned is so popular this year. Here’s where to shop for custom kits and sets of all kinds. The newest twist on towels? Custom shapes. Think anything from baseball jerseys to soccer balls. Custom-shaped towels generated some serious buzz at the shows – as they should. When people are expecting standard-issue towels, your brand immediately stands out with towels in unique shapes. 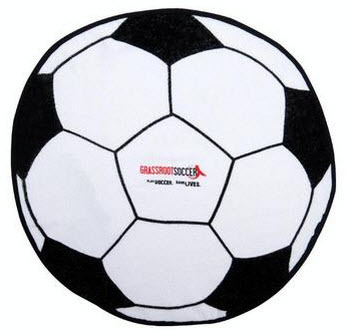 They’re perfect for sports teams, corporate events, company picnics, and more. Spring Break and summer are just around the corner, so now’s a great time to explore the newest trend in custom towels. Everybody was talking about camo last year, and guess what? It’s still a major trend in 2015. But this year, expect to see it combined with neon – another hot trend that’s back again. 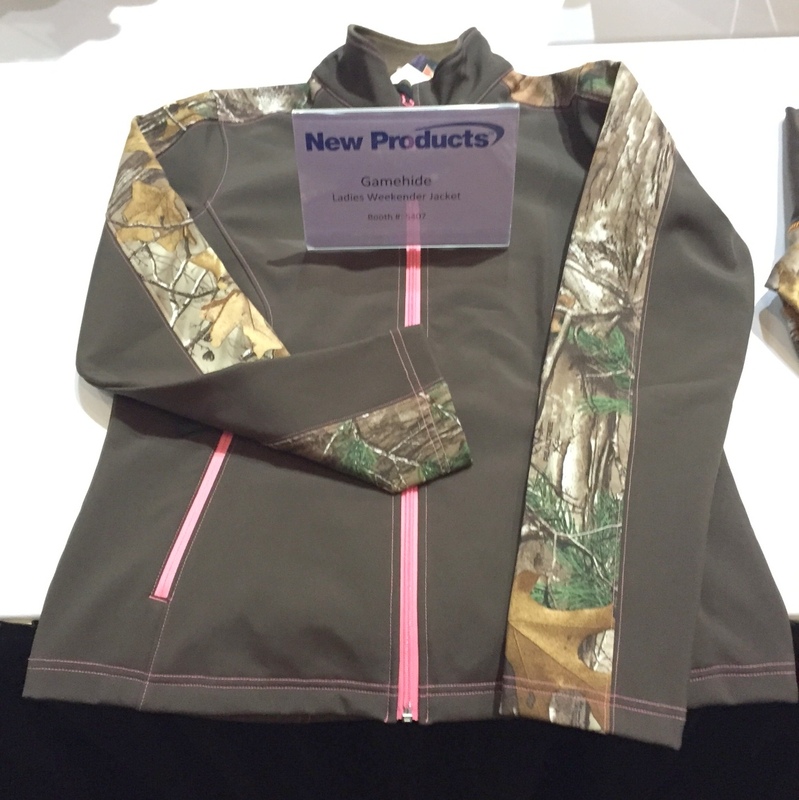 An increasing number of suppliers are realizing that camo is popular with the female demographic, and as a result, we’re seeing lots of exciting camo products targeted to women. Think form-fitting tees and trendy totes. The bottom line: In 2015, camo is coolest with neon accents. Here’s where to get custom camo gear for your brand. 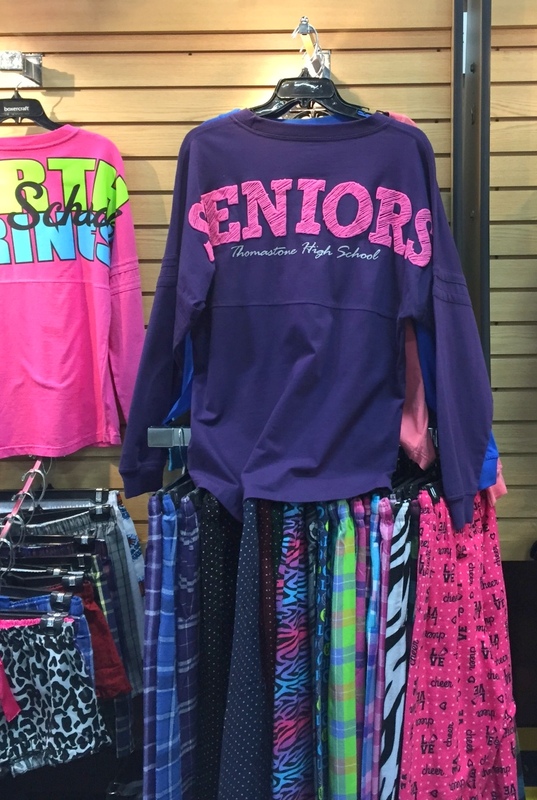 Here’s another great retail trend that’ll be big in promotional marketing this year: apparel with king-size customization. We saw t-shirts following this trend all over the show floor, and also in retail shops all over Las Vegas. Take a look around the shops in your part of the country and you’ll see what we’re talking about. The apparel trend for 2015 is all about huge prints, which is great when you want to make a big, bold statement. But, we know a huge, gargantuan logo or message isn’t always the best choice. Take a look at this SlideShare for more information on how to get the sizing of a logo right. Expect faux leather to be popping up everywhere on promotional products this year. We saw it on everything from caps to speakers and mugs. The great thing about faux leather is that it looks incredibly high-end, but the cost makes it well within most marketers’ reach. Browse around some promos with faux leather accents. 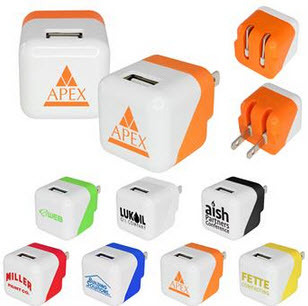 With all the buzz around Apple products, suppliers are coming up with new ways to serve the promotional products market in this high-demand category. At the shows, we saw all kinds of fun, different colors in lieu of ordinary chargers. If you’ve never given phone adapters (or other tech promos), there’s a big upside: People will always have a need for them. This means your brand gets seen day in and day out. Here’s where to shop for all technology and phone-related promos. Expect to see fresh, interesting twists on classic products this year. One example is custom bottled water. We saw several unique bottled water companies at the shows. They put a modern spin on their products by incorporating colored tops and patterned bottles. Bottled water is nothing new, but it looks refreshingly different and eye-catching with these new twists. 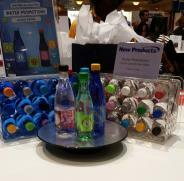 Explore custom bottled water for your brand. It’s great to hand out at tradeshows, marathons, concerts, outdoor events, and more. So, there you have it. 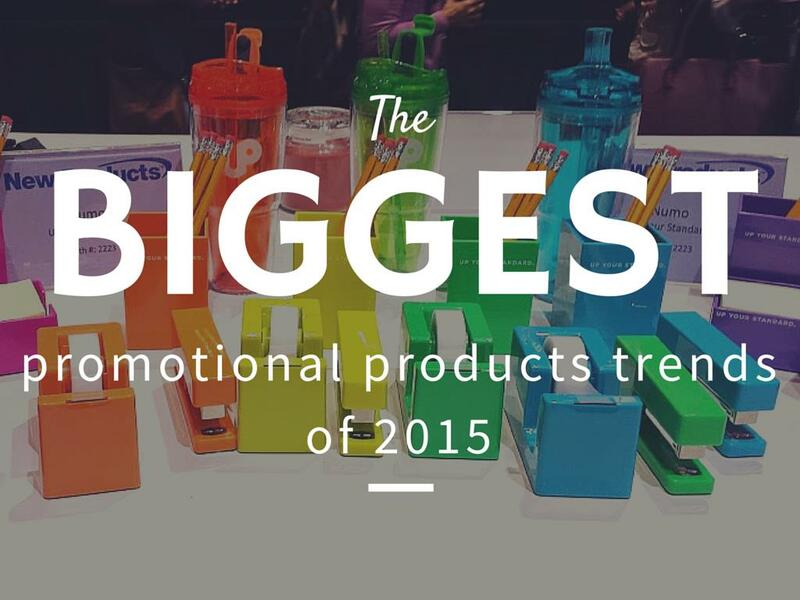 A look at the biggest promotional trends for 2015. Above all, remember to think retail. People want (and will keep and use) items that they’d buy themselves. Ready to get started building your brand? Give us a call.